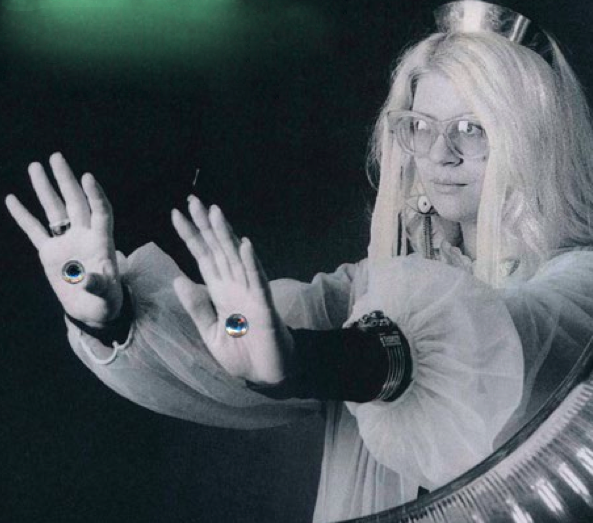 Mary Ocher‘s latest album The West Against The People is out on Klangbad. It was produced with Hans Joachim Irmler of Faust, and features solo tracks, as well as a few with Mary’s two drummers, Your Government, and collaborations with the legendary Die Tödliche Doris and Felix Kubin – and it is already announced in FACT Magazine, Hype Machine, The Wild Word, Cairo Scene (and again about her music’s socioeconomic influences), Spex, and Twisted Soul, as well as on Flux FM’s radio show. On January 4th, The Endlessness (Song for Young Xenophobes)‘s video will be released as the first album ambassador and featured on Lodown Magazine, Spex, and Fact Magazine. On the 13th, expect an EP of upcoming remixes, including one by Peter Kirn, on Bandcamp and featured on NovaFuture, Fourculture Magazine, Berlin Hayom, CDM, and Local Suicide blog among others, along with the video for Arms premiered on Thump/Vice, followed by a live gig in Chemnitz on the 16th, and a solo show in Berlin for the first time in over two years on the 20th at Ausland feat. a grand piano and announced on Ask Helmut, Exberliner and Siegessaüle. The West Against The People’s latest single, To The Light, was reviewed at length by NPR Magazine and saw a video release of both its piano rendition and its feature with Your Government, while Self-Titled offered a track-by-track commentary and stream of the whole album. Lola Magazine reviewed Mary’s “Across Red Lines” video release, French magazine Tsugi wrote about one of the tracks featuring Your Government: My Executioner, and ExBerliner, Deutschland Funk, and Bandcamp Daily examined the political undercurrents behind the album. Since its release, The West Against The People has also been featured in Carnage News, ShufSounds, The Monitors, A Conversation, The 405, The Arts Desk, Taz Blog, and many more publications. or Mary Ocher + Your Government worldwide HERE.